High Visibility Childs Waterproof Rain Poncho – PU Coated Nylon. Suit ages 6 – 10 years. They are only available in fluorescent yellow. 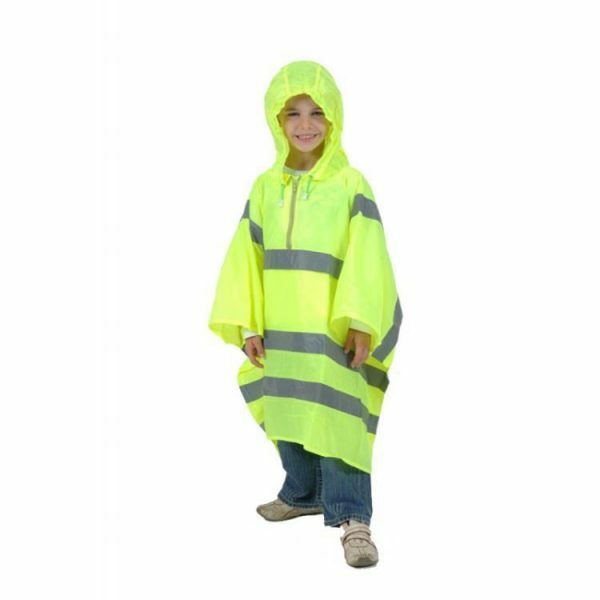 Child 6-10 years Waterproof Rain Poncho in PU coated Nylon High visibility fluorescent yellow with High Vis stripes conforming to BSEN 471. This product is available in fluorescent yellow only. 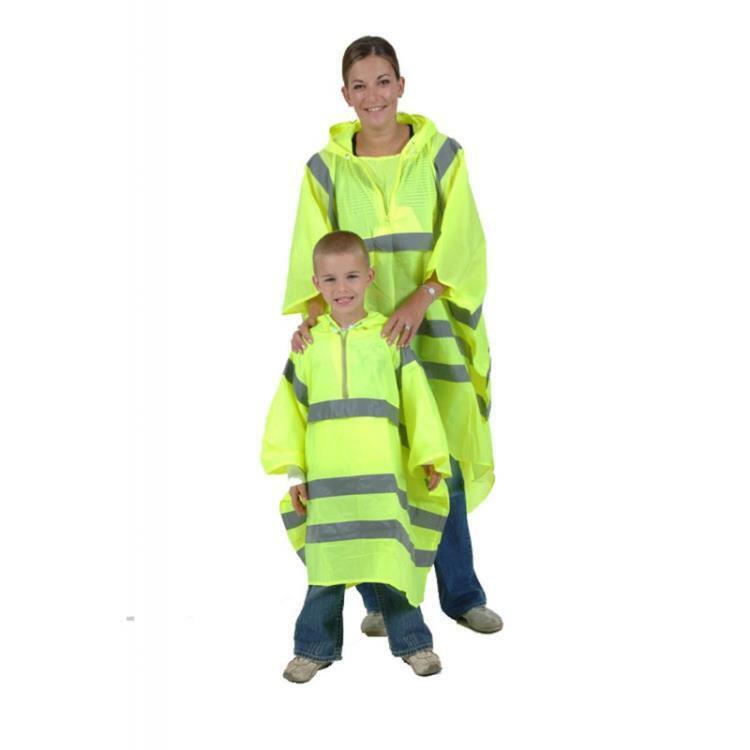 Also available in adult sizes: Please see our High Visibility Adult Waterproof Rain Poncho. £8.99 + postage & packaging.